I have been wondering for the last few weeks whether to sign up for Me-Made-May '13 or not. I have participated in most of the me-made/self-stitched challenges Zoe has organised in the past few years. I know I can manage a month wearing me-made clothes. Probably the most challenging part is taking photos everyday (and that's not even a requirement. But I wouldn't take part in it and not take photos...). I don't want to miss out on all the fun though - it is so nice to see what everyone is wearing and what they are up during the month. So I am making it a little harder for myself this year. I have quite a lot of me-made clothes but I do have my favourites that I like to wear over and over so limiting the repeats will be hard for me. Hi! I haven't blogged in months. Not because I haven't been making anything, but I haven't been able to take photos (my camera battery went kaput. I NEED a new camera!). A blog post just doesn't feel right to me without photos. 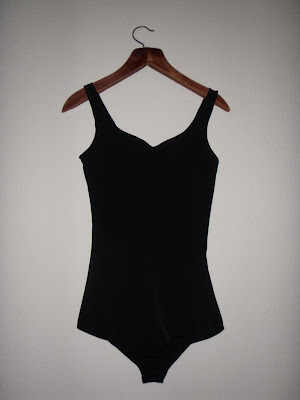 I made this leotard a few months ago. Now I wear it every week at hoop class. At first it was a little plain. So I added a fringe to it. I used a strip of the same fabric and put cuts in it all the way around. A little movement to a garment makes me happy. My friend Sam was lovely enough to take lots of photos for me the other day. You can see some more of his pics on his Tumblr.